It seems like Pokémon Sun and Moon were only just unveiled last week, yet here we are in the home stretch to the games being on store shelves. 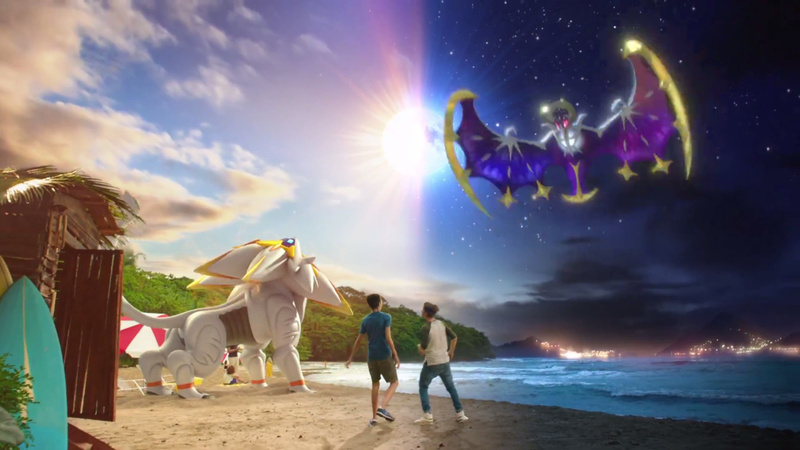 Though the jury's still out on how they'll perform, interest in the Pokémon franchise has been quite high over this past year, and Sun and Moon have already gone on to break a few records in their pre-release alone. What do you think? Which version are you getting? Drop us a comment in the section below. I know this isn't anything new but..
@MitchVogel Except that you are misleading your readers. Just because some Youtube person does it, does not mean you have to do so either. I expected a trailer, but got a commercial, wasting my time. @ThainEshKelch The official Nintendo channel is not "some Youtube person". I would agree tho, this really isn't much of a trailer. New tagline at the end there, with a very "Switch" looking logo. @Retron It's in use for half a year now. I have watched from Youtube first. @MitchVogel I think the deep-voiced narrator was meant to evoke the tone of a movie trailer. In any case, if Nintendo wants to call it a trailer, and Mitch wants to repeat that in the title, then so be it. Sounds like accurate reporting to me. I was watching TV with my kids yesterday and this came on. Nintendo already has my money. I'l be getting Moon and my husband is getting Sun. I'm so excited to be playing this game with him. It will be like playing X and Y together all over again. @Doggedfrog I look forward to hearing about your family adventures in the Alola region. @Rhydas aw thank you. I'm looking forward to playing it. "It seems like Pokémon Sun and Moon were only just unveiled last week,..."
More like last century in my opinion, but eh, details. At least the release is close! "It seems like Pokémon Sun and Moon were only just unveiled last week"